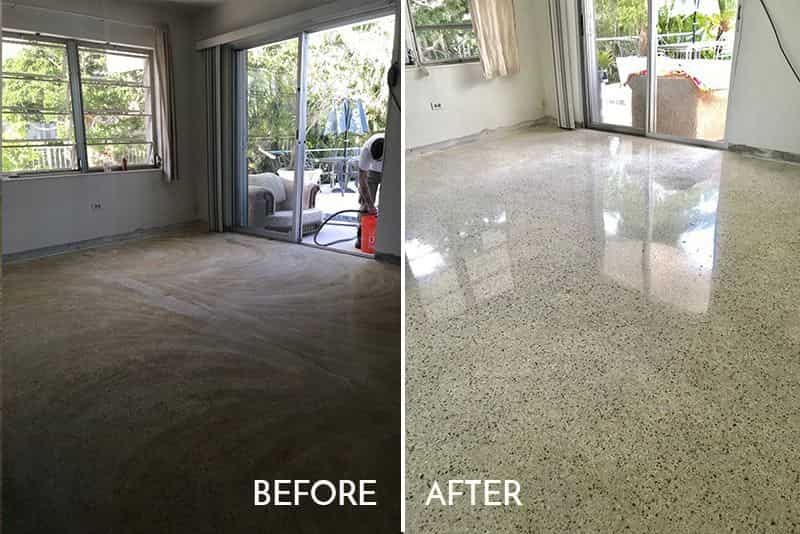 Terrazzo is a composite material, poured in place or precast, which is used for floor and wall treatments. 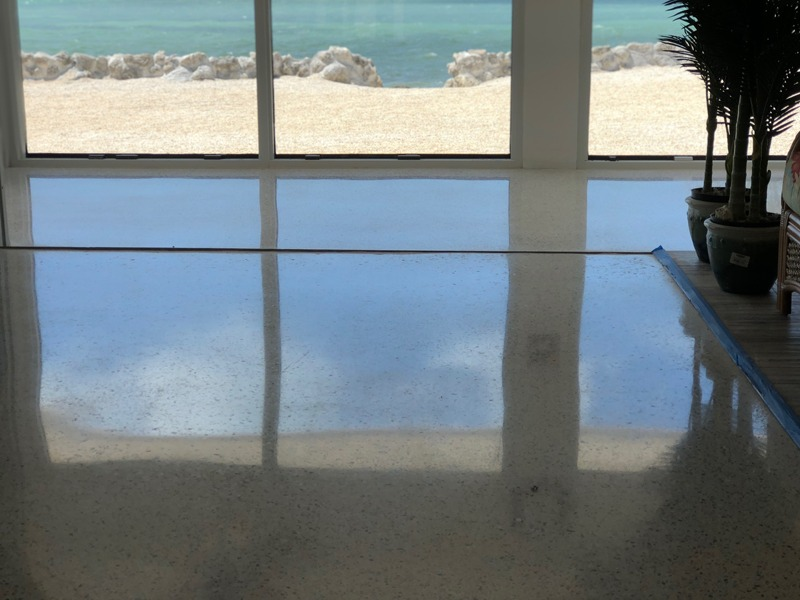 It consists of chips of marble, quartz, granite, glass, or other suitable material, poured with a cementitious binder (for chemical binding), polymeric (for physical binding), or a combination of both. 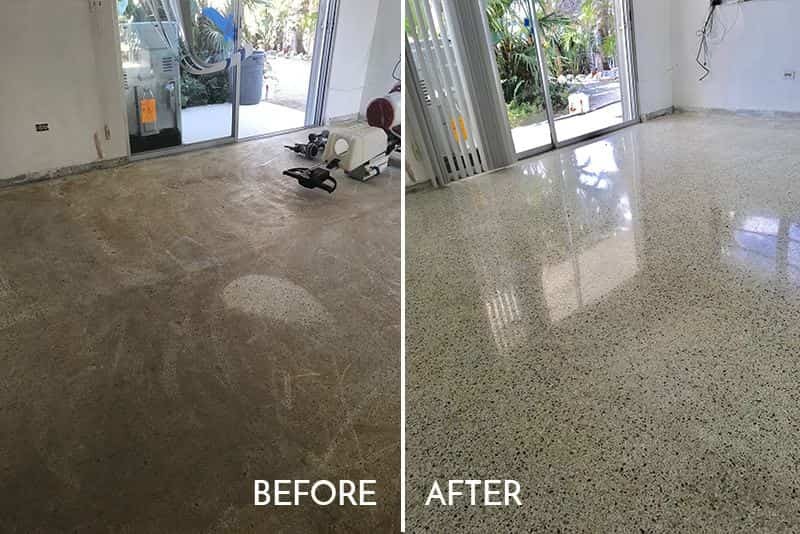 After it is cured it is ground and polished smooth or otherwise finished to produce a uniformly textured surface. All of our diamond polishing is done with a wet Diamond polishing process eliminating dust that occurs when a dry polishing process is done. 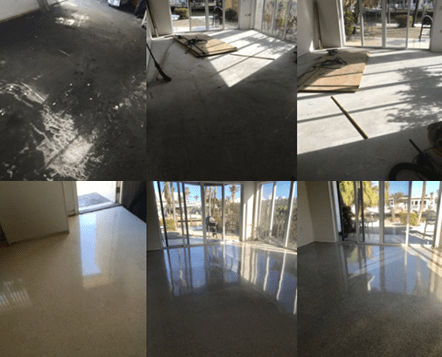 After your flooring has been restored we will apply impregnating sealer. We polish the stone No topical waxes are ever used.